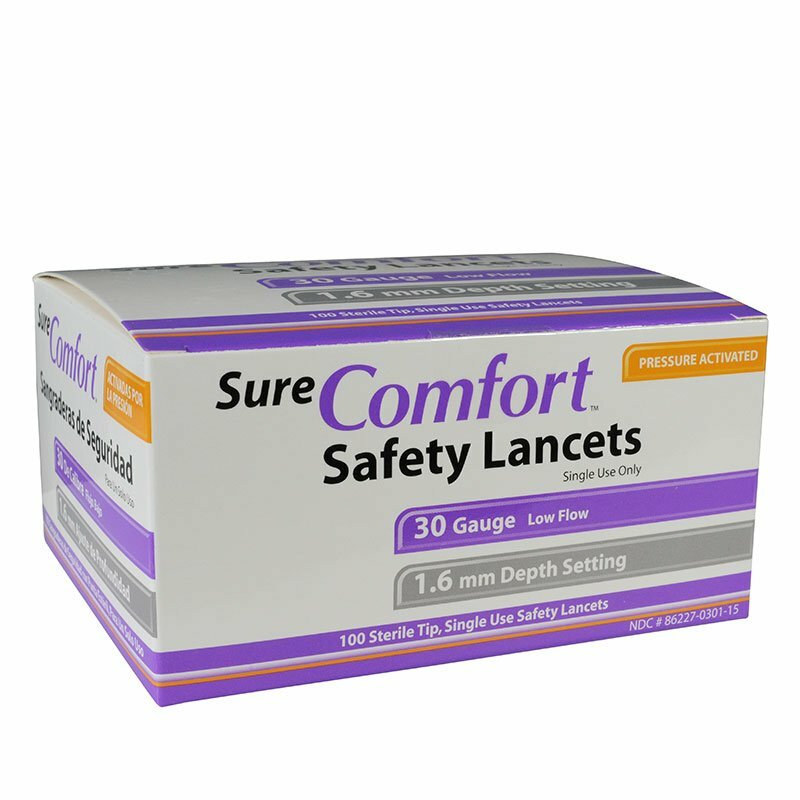 You are buying the Sure Comfort 30G Safety Lancets 1.6mm Depth 100 per Box Case of 5, manufactured by Sure Comfort. Sure Comfort is a leading manufacturer of Insulin Syringes, Safety Lancets, Pen Needles and diabetes supplies. At ADW Diabetes, we offer the complete product line by Sure Comfort with great savings and excellent service. The newest addition to the SureComfort line, our pressure activated safety lancets are designed for both patients and healthcare professionals. The safety lancets are easy to use and safe as the needle retracts after use leaving no possibility of reuse. Low flow 30G offers minimal pain as the thinnest lancet in the line.